Services - Underground Sonic Drilling Services Inc. 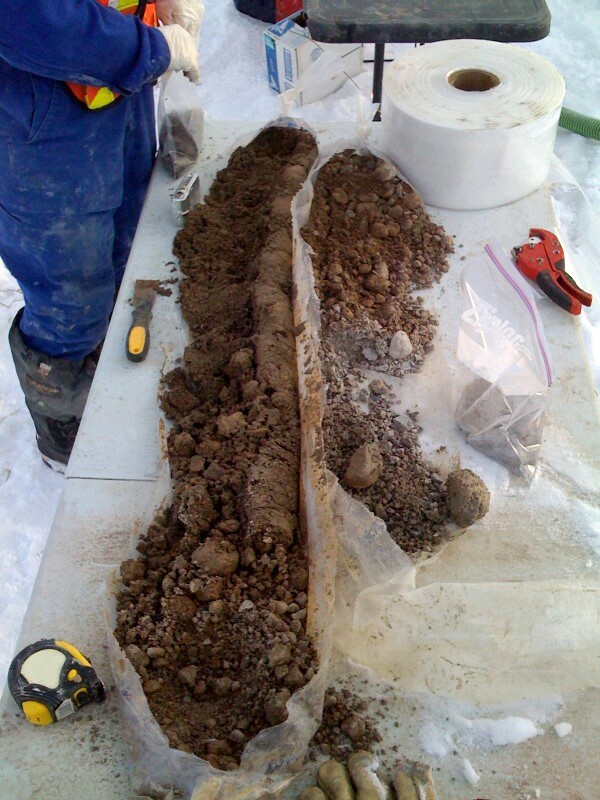 Underground Sonic Drilling Services Inc. provides large diameter continuous core sample recovery for environmental investigation projects in Central and Eastern Canada where geological formations have proven to be challenging and when deep boreholes are required. At Underground Sonic Drilling Services Inc. our focus is to reduce your project completion time, produce highly representative overburden and rock samples, and achieve your desired depths by utilizing versatile truck and track mounted sonic drills. When sampling, our sonic drills operate at twice the rate of conventional drilling methods. In challenging formations such as heavy tills, heaving and flowing sands, coarse gravels, and cobbles, our sonic drills operate 4-5 times faster – minimizing project completion times. In addition to the inherent speed and power unique to sonic drilling technology, our sonic drilling equipment has several integrated mechanical features to reduce manual labour and allow us to work more efficiently. High quality, representative soil samples. Sonic vibrations allow us to continuously dry sample overburden providing you with the most accurate identification of subsurface conditions for your test holes. These larger cores can easily be divided when duplicate samples are required. By adjusting the frequency of these sonic vibrations we are able to quickly sample saturated sands without introducing drilling mud or polymers, which are commonly used in PQ soil coring. Our truck and track mounted sonic drills excel in all unconsolidated materials and bedrock. We mobilize to every job site equipped to drill in any geological formation that may be encountered – saving you time and money on equipment re-mobilization costs. We also arrive equipped to drill considerably deeper than the average environmental assessment offering you the ability to change the work plan when unexpected geological conditions are encountered. Our sonic drills have the ability to core or displace through boulders, which would otherwise cause refusal with a conventional auger drill. One ten-foot core replaces the five SPT’s typically required. Call us today at +(1) 705 259 4986 to discuss how we can assist you on your next environmental investigation project.